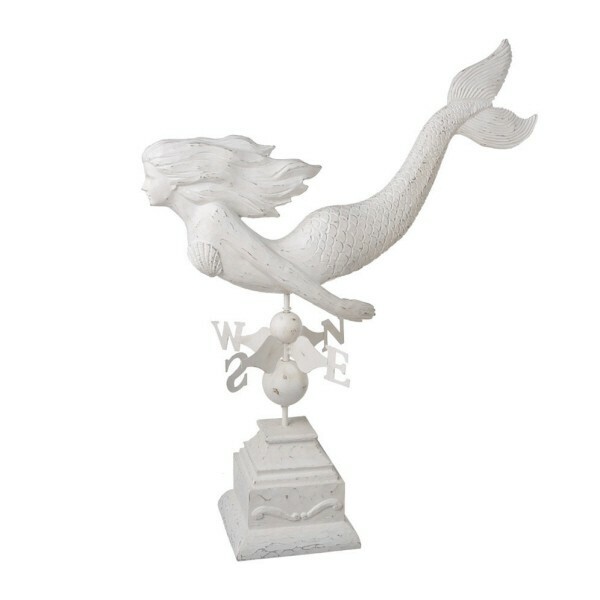 This large beautiful resin mermaid is elegant with long flowing hair and a curvy body, in a lightly distressed white finish. This weather vane stands ready to show you which way the ocean winds blow. Info: Accessories and Small Items ship out within 2-4 weeks, from our store or direct from the artisan. Furniture or Large Items ship out within 4-8 weeks, from our store or direct from the artisan.